The new year presents a fresh start. If there is something you'd like to start doing, stop doing or change the way you are doing it, this is when many jump on the resolution train. Whether you are a resolution-maker or not, making something better is bound to be on your mind. It is on mine. Right out front, I have my running (I plan to run a half-marathon), my food choices (I've been Paleo for over a year now but have begun to sugar-stray), my skin (time to pay my dues for my younger years of sun worship) and the coaching I give, receive and accept. On my mind today (but only because of a prompt) is what I'd do to make HR better. So, here it is. HR is hard to work with. HR can't get the basics right. Include HR, why? What do they do anyway? The stories are not going to change on their own. Bob McDonald, then CEO, Proctor and Gamble said, "People are going to tell stories about you whether you want them to or not. Choose which ones they tell." I love this quote for a few reasons: first, it's true and second, it puts HR professionals and leaders across the globe in the driver's seat. Don't like the stories? Change them. Quit hiding behind technology, leading with the employee handbook and blaming the economy for recruitment and retention challenges. Stop talking (what you think sounds expert and dazzling is actually distancing) and start listening. Start by getting your HR house in order - strengthen your HR infrastructure and your HR workforce. Align business decisions with organizational objectives - focus on streamlining the hiring process, ensure employees have the necessary skills and abilities to do their jobs and develop targeted strategies to assist supervisors and managers with performance management. Share your success, take credit where credit is due and be nice to your friends. Do this and I guarantee the conversations about HR will change and you will be sought out by others for your absolute awesomeness. 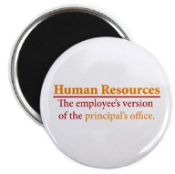 Human resources can be complex, confusing and exasperating. Communications between leaders and their human resources department don't have to be. It's time to step out of the ring and start working together. When human resources professionals live and breathe human resources everyday, they forget what it's like outside the bubble. It's easy for them to judge non-HR leaders harshly. "Don't." Instead, help them help you. Proactively anticipate needs, develop training resources, analyze data and ask leader what you can do for them. Serve as strategic advisers to leaders. Lead effectively, help leaders with workforce planning and creatively work within business constraints to improve how they do business. Give leaders a chance, you will be pleased with the results. When leaders stay as far away from the human resources bubble as they can, it's easy for some to abdicate their leadership responsibility and to judge human resources staff harshly. "Don't." Instead, help them to help you. Proactively identify needs, ask for the HR training and resources you need. Listen to the options, advice and consequences. It is your responsibility to ensure your decisions are informed ones. Ask the tough questions and expect researched responses. Ensuring people come to work under the best conditions and are able to perform job they were hired to do is a joint venture between leadership and human resources. Respect goes a long way to helping each other find ways to get the results the organization needs. This is not personal. It's business and you each have a job to do. If you are a leader or human resource professional uncomfortable or bothered by this, no worries, your discomfort or unease will be short-lived. Organizations staffed with leader and human resources staff unwilling or unable to do this will find ones who can. 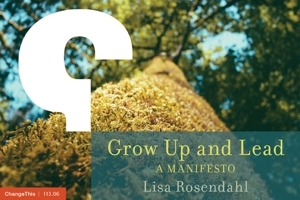 Taking the Gloves Off: Leaders and HR first appeared on lisarosendahl.com.